After failing to find a profession which united his childhood ambitions of being a pilot, archaeologist and zoologist, Jon began his career as a trader in a London-based investment firm. He then went on to become a founding member of the TorFX team. 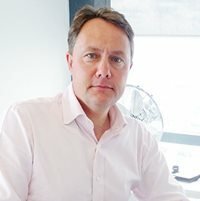 As CEO Jon is responsible for overseeing the development and implementation of TorFX strategy as well as managing group projects including significant partnerships, acquisitions, overseas expansion and corporate strategy. For Jon one of the most rewarding aspects of his work is helping to make decisions which both improve the business and benefit its staff. When not working, Jon used to spend his spare time fishing and gliding. But since marrying and having children Jon is more likely to be found enjoying family time at home, cooking (with a glass of wine in hand), and running. 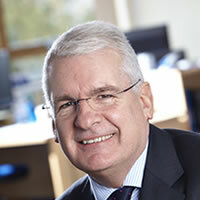 During his career Nigel has held sales and senior management positions in large and medium size companies, working for Rio Tinto, Peter De Savary and the Combined Universities in Cornwall. Before taking on the position of Managing Director, Nigel spent seven years as the Sales Director of TorFX, with his focus being on supporting sales growth and managing an expanding sales team. As Managing Director, Nigel uses his experience, drive and determination to spur his team forward and ensure consistency in all areas, citing being part of such a successful, dynamic and expanding business as the most rewarding aspect of his job. When not working Nigel indulges his passion for photography and music, spends time with his children and hones his sporting skills. Tracy brought her skills and vibrant personality to TorFX in 2005 following fifteen years’ experience cultivating sales growth and increasing market share in the manufacturing industry. As well as supporting an expanding marketing team, Tracy is actively involved in all operational functions of Tor’s Penzance office, ensuring that the company is adequately resourced for optimal goal delivery. 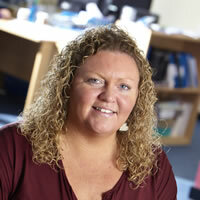 Another aspect of Tracy’s role is participating in key group projects, like CRM. An earlier interest in Graphic Design has also proved useful, helping Tracy to oversee design projects within her department. Her hobbies of home renovation, interior design and gardening compliment the creative energy and eye for detail she brings to her work. Keith spent nineteen years working in corporate banking and seven further years on and off-shore in the international payments arena before joining TorFX in 2011. For the past fifteen years he has held leadership roles within the FX and payments industry, giving him the experience needed to direct the board and push for the achievement of the company’s strategic goals. When he was younger Keith couldn’t decide whether to pursue a career as a farmer or a pilot. Only with hindsight did he realise he could have united these ambitions by becoming a crop sprayer. Over the years Keith’s hobbies of paragliding and mountaineering have evolved into more sedate pursuits, like cycling, skiing and sailing. 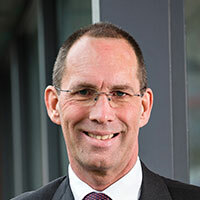 Neil joined TorFX in June 2017 as CFO. 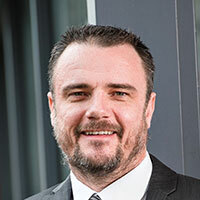 Neil leads the Finance, HR and compliance functions, as well as providing support to the Board and business across a range of activities, including tax, insurance and banking. Neil has worked in a range of industries including FMCG, Leisure Retail and Housebuilding, having spent 10 years in listed-company CFO roles immediately prior to joining TorFX. 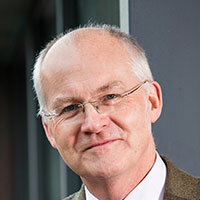 Neil is a Fellow of the institute of Chartered Management Accountants. Leo is responsible for the group’s IT development strategy, operational functions and also contributes to group strategy. Bringing extensive experience from senior roles in a number of payments businesses including AMEX, the Post Office and Moneygram, Leo has a track record in delivering operational excellence. Leo has a degree in Mathematics from Warwick University and an MBA from Harvard Business School. When Ashley joined TorFX in 2007 he brought a wealth of experience with him. After qualifying as a chartered accountant with Ernst & Young, Ashley spent the next 25 years working variously as a CEO, CFO, director and entrepreneur. 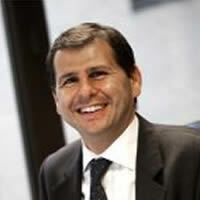 In his current role, Ashley is responsible for heading up the company’s special projects. Although he may not have realised his childhood dream of being a wealthy farmer, Ashley’s hobbies of gardening and wandering by the water still give him the chance to don his wellies. 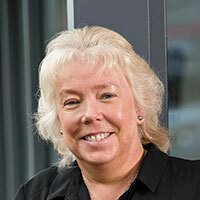 As one of the original TorFX team, Gail has become an integral part of the company over the years. Her previous managerial experience, bubbly personality and childhood dream of being a Naval Instructor have made Gail perfectly suited to heading the International Payments team. Gail’s role within TorFX has expanded with the company, and she derives great satisfaction from getting the best out of her team. Outside of the office Gail likes to ski and cook – though she rarely does both at the same time. 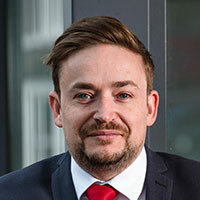 After spending five years as a mortgage underwriter with TMG, Colin joined TorFX in 2007. As Head of Business Development Colin is responsible for overseeing the cultivation of key business relationships and generating high-level contacts. Although a few inches shy of being able to fulfil his early ambition of joining the fire service, Colin is committed to staying active, spending his spare time playing golf and football. Colin has represented TorFX in the London Marathon twice, raising substantial amounts of money for charity. 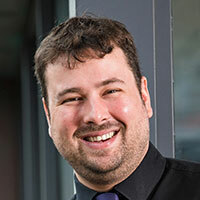 In the years Neil has spent with TorFX he has overseen the development of the company’s various websites and taken a primary role in implementing the digital marketing strategy to great effect. His fifteen years of experience, previous employment as an E-Business Manager and expertise in SEO, content marketing, PPC, email marketing and social media have made him an invaluable leader within his department and an asset to the company. For Neil, the most rewarding aspect of his job is driving campaigns towards successful outcomes. His childhood dream of being a professional footballer might not have worked out, but in his spare time Neil still likes to keep active and makes the most of living by the sea, enjoying kayaking and sea fishing. Aspirations to become a sports reporter led to Adam obtaining a degree in journalism, but within weeks of graduating in 2005 he was snapped up by a fledgling TorFX. 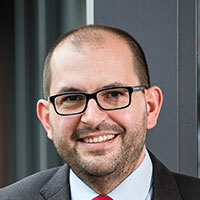 Within three years Adam had risen to the position of Head of Trading, taking on the responsibility of managing the company’s risk and market exposure while overseeing the Treasury and upholding his previous commitments as an account manager. If that wasn’t enough responsibility to handle Adam also became a father in 2012. Spending time with his family is a priority for Adam, but he’s also quite partial to a bit of five-a-side. 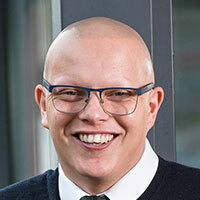 Adam takes pride in the growth the company has enjoyed over the years and the strong relationships he has managed to build with staff and clients alike. As TorFX strives for efficiency and precision in all areas Andre plays a key role. Although he once dreamed of being a fighter pilot, Andre worked as a freelance IT engineer and IT manager before joining TorFX. These roles allowed him to gain the experience necessary for keeping the company’s network infrastructure operating to full effect, through monitoring its day-to-day performance and executing upgrades. When not cooking or mountain biking, Andre’s spare time is spent sampling Cornwall’s wide selection of real ales. After heading up the development team responsible for implementing an equities trading system for a major investment bank, Kay moved from London to Cornwall and joined the TorFX team in 2011 as a systems analyst. Her expansive previous experience, expertise and dedication have since seen her become the Group Head of CRM Deployment and Development. In her new position Kay is responsible for refining and utilising the CRM system, a task which requires integration between the London and Cornwall offices. Kay finds translating complex requirements into a working system a rewarding aspect of her work, and in her spare time she enjoys the rewards of living in Cornwall, like swimming off the coast and horse riding. Caroline came to TorFX in 2011, fresh from eight years spent working in the Financial Crime Department of a retail bank. 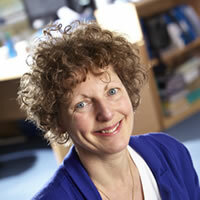 In her former post Caroline gained experience in a range of aspects of Fraud Operations and Strategy. 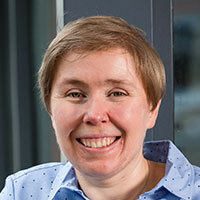 Within TorFX Caroline is responsible for supervising the compliance department and ensuring that compliance policy is adhered to throughout the business. Caroline once considered becoming a criminologist, but now gains satisfaction from knowing that her commitment to managing fraud and compliance as effectively as possible makes a difference across various levels of the company. Outside of work Caroline enjoys spending time with her family and going for long beach walks.